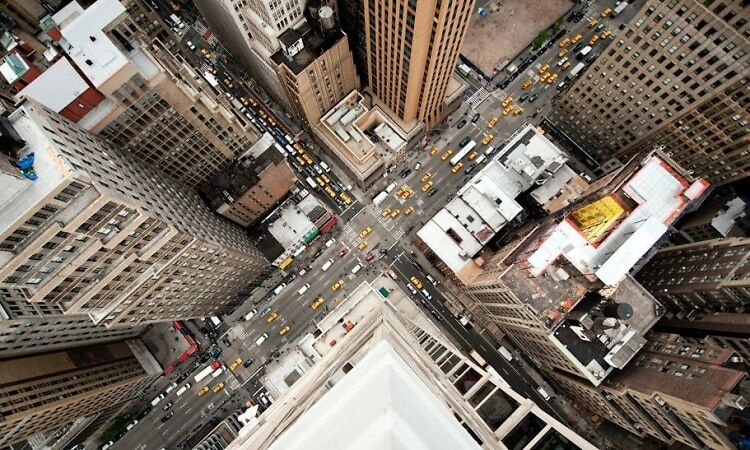 We've already seen the beauty of the Hamptons beaches from above, and now photographer Navid Baraty captures the incredible bustle of the city with his series of vertigo-inducing photos. Navid takes his camera to the top of the city's tallest skyscrapers and leans off the edge to reveal the movement of city life below. "Everyone walks around Manhattan looking up at the giant skyscrapers, but very few get the chance to look down from so many different vantage points," said Navid. From 30 to 40 stories up, you can really feel the energy and flow of the city with Navid's bird's eye view.